Neenah, WI - The Federal Motor Carrier Safety Administration (FMCSA) has announced the UCR renewal deadline (April 5, 2018), giving carriers just 90 days to file their renewals. J. J. Keller & Associates, Inc., the leader in transportation safety and compliance, can help carriers meet the deadline quickly and efficiently. All interstate, for-hire property and passenger carriers, private property carriers and exempt motor carriers operating CMVs must register annually and pay a UCR fee based on the number of commercial motor vehicles they operate in interstate commerce. 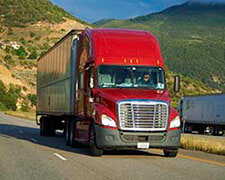 The fee must be paid to the carrier's base state before operating in interstate commerce. For more information about J. J. Keller® Unified Carrier Registration (UCR) Filing Service, visit JJKeller.com/UCR or call 888-601-2017. Since its beginning as a one-man consulting firm in 1953, J. J. Keller & Associates, Inc. has grown to become the most respected name in safety and regulatory compliance. Now over 1,400 associates strong, J. J. Keller serves over 600,000 customers — including over 90% of the Fortune 1000® companies. The company’s subject-matter expertise spans nearly 1,500 topics, and its diverse solutions include ELogs and mobile technology; training via online courses, streaming video or DVD; online management tools; managed services; consulting services; online and print publications; forms and supplies. www.jjkeller.com. JJKeller.com.